Kanya, Joan, 80 of Mount Arlington, passed away on March 14, 2019. Beloved wife to Albert Kanya. Loving mother to Lisa Kanya. Joan was born in Newark and lived in Mount Arlington. 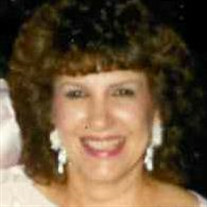 The family of Joan Kanya created this Life Tributes page to make it easy to share your memories. Send flowers to the Kanya's family.